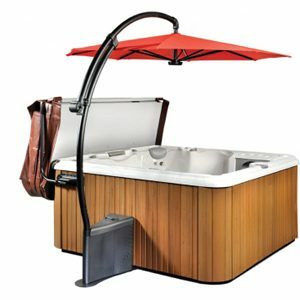 This elegant, European-designed umbrella lets customers enjoy their spas regardless of the elements. Powdercoated 2 1/4 inch aluminum tube construction and premium Sunbrella® material make this umbrella both durable and stylish. Finally, an umbrella that performs the way your customers expect.